Washington, DC – May 31, 2011 – (RealEstateRama) — Seventeen local and state Realtor® associations have been awarded over $60,000 through the Housing Opportunity Program Grants, a National Association of Realtors® grant program. The funds will be used by the associations to promote and expand affordable housing opportunities in their communities. NAR’s Housing Opportunity Program Grants was established in 2006. Individual grants of up to $5,000 are awarded twice per year, in April and October. Since the program’s inception, more than 150 grants totaling over $500,000 have been awarded. The grants support a wide range of housing opportunity activities, including housing symposia; home buyer education or housing fairs; counseling and financial literacy efforts; down payment or closing cost financial assistance programs; public opinion surveys; and Realtor® affordable housing education. Ada County Association of Realtors® (Boise, Idaho): $3,000 to host the first annual Idaho Real Estate Summit. Charleston Trident Association of Realtors® (North Charleston, S.C.): $5,000 to hold “Realtors® Care Week,” which will include a variety of activities to raise funds for and awareness about local housing needs. Dubuque Board of Realtors® (Dubuque, Iowa): $1,000 to sponsor a lunch and educate Realtors® about a local neighborhood revitalization initiative. Greater Hartford Association of Realtors® (West Hartford, Conn.): $2,500 to conduct a series of foreclosure prevention forums. Greater Hazelton Association of Realtors® (Hazelton, Penn. ): $3,000 to hold a public event to provide education on foreclosure prevention programs. Greater Lakes Association of Realtors® (Baxter, Minn.): $2,000 to provide money management and credit classes to the community. Greensboro Regional Realtors® Association (Greensboro, N.C.): $3,000 for an event about sustaining home ownership for current and aspiring home owners. Iowa City Area Association of Realtors® (Coralville, Iowa): $5,000 toward rehabbing an existing home that will be sold to a family in need. Oregon Association of Realtors® (Salem, Ore.): $5,000 to support a culturally specific financial fitness initiative. Realtor® Association of Greater Fort Myers and the Beach Inc. (Fort Myers, Fla.): $5,000 to develop a multimedia marketing initiative to promote a home buyer education program. 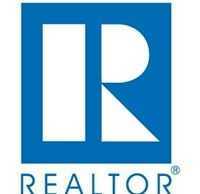 Realtors® Association of York and Adams Counties (York, Penn. ): $2,000 to create a one-stop website that will be a resource for buying, renting, and living in the communities served by the association. Santa Fe Association of Realtors® (Santa Fe, N.M.): $3,000 to create an affordable housing data repository to help consumers better understand the effectiveness of housing programs in the community. Southern Maryland Association of Realtors® (Hughesville, Md. ): $5,000 for a series of financial literacy seminars available at no cost to the public. Stark County Association of Realtors® (Canton, Ohio): $2,750 to support the marketing for a partnering nonprofit organization to Realtors® and the community. Toledo Board of Realtors® (Toledo, Ohio): $3,000 for a two-day event focusing on affordable housing and the home ownership process. West Georgia Board of Realtors® (Douglassville, Ga.): $5,000 to support four events – including Save a Home Seminars, pre-purchase workshops, loss mitigation events, and a Realtor® training event – related to helping current and future home owners. For additional information on NAR’s Housing Opportunity Program Grants or to download an application, visit www.realtor.org/housingopportunity.